Vice Admiral Michael Noonan, AO, RAN joined the Royal Australian Navy in 1984, trained as a seaman officer and then subsequently completed Principal Warfare Officers course and specialised in Air Direction and Above Water Warfare. Throughout his career, he had experience in a wide range of Navy and ADF operations through various sea and shore posting and operational roles. Highlights have included deployments to the Middle East, Southern Ocean and being the Commissioning Commanding Officer of the Anzac class frigate HMAS Parramatta. He has fulfilled leadership positions at all levels of the Australian Defence Force, with senior positions including the Director of Military Strategic Commitments, Director General of Operations at HQJOC, Command of Maritime Border Command and Deputy Chief of Navy. In June 2018, he was appointed as an Officer of the Order of Australia in recognition of his distinguished service in significant senior ADF command roles. Vice Admiral Noonan assumed command of the Royal Australian Navy on 7 July 2018 and will be the 32nd professional head of the Australian Navy, and the 9th officer to hold the title of Chief of Navy Australia. 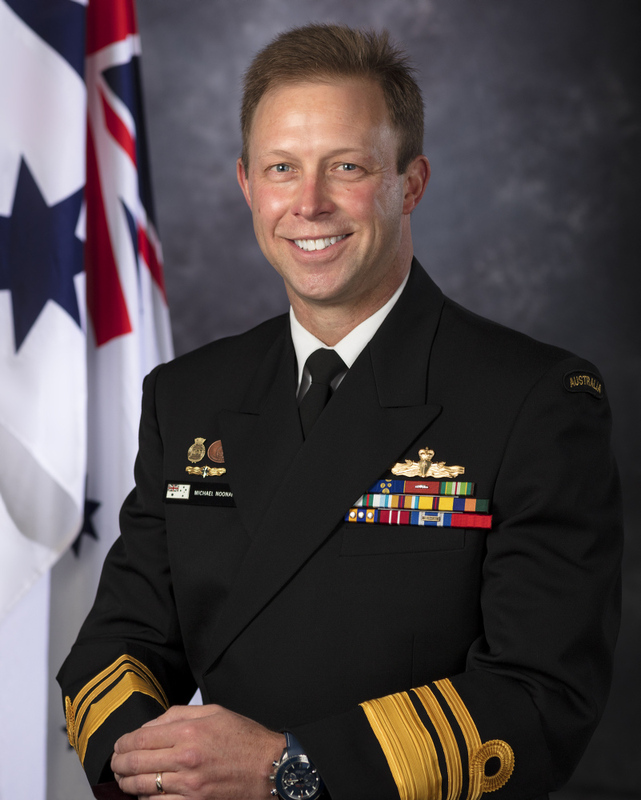 In this role, he is entrusted by Government to be its principal naval advisor, and to raise, train and sustain Australia’s naval forces to execute maritime missions in a dynamic region. The Security and Prosperity of Australia is tied directly to the Maritime Domain. Australia’s $1.6 trillion economy is dependent upon the security of our international trade routes, shipping and vast marine resources. For Australia to efficiently, safely and securely access and defend the maritime domain now and into the future, the Navy must be an agile, resilient and lethal fighting force, able to contribute to complex, joint missions in a dynamic region. To achieve this vital task, the Navy’s Officers and Sailors must be professional, well trained, and empowered to lawfully use the full range of available capabilities when called upon by our Government. Many of these naval capabilities are highly complex, technical systems which must be cost effectively managed, extremely well maintained, regularly upgraded, and battle ready; cognisant of the ever changing strategic threats and technical challenges. This enables the Navy to Fight and Win at sea, directly contributing to the current and future security and prosperity of Australia.